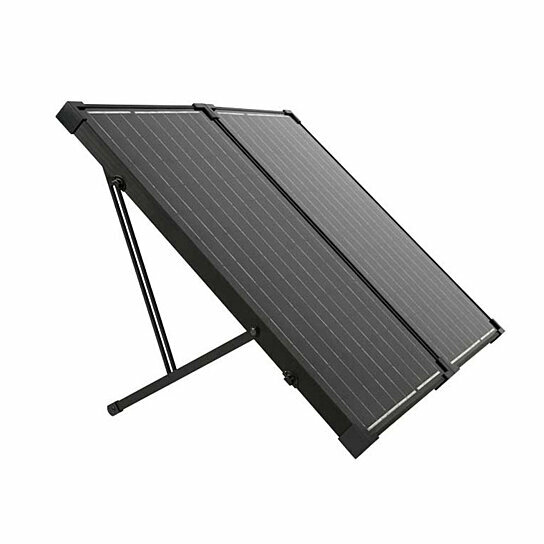 The Humless 130 watt solar panels are built with monocrystalline cells. They fold in half for easy storage and travel. The panel comes with a protective carrying case. Output: 130 Watts. Cell type: Monocrystalline. Cells: 72. SIze: 33 x 20 x 3 Inches. Weight: 28 Lbs. Warranty: 25 Year Power Warranty. SIze: 33" x 20" x 3", Weight: 28 Lbs. Warranty: 25 Year Power Warranty. Output: 130 Watts. Cells: 72.